Spider-Man 3 is due for release in May 2007. 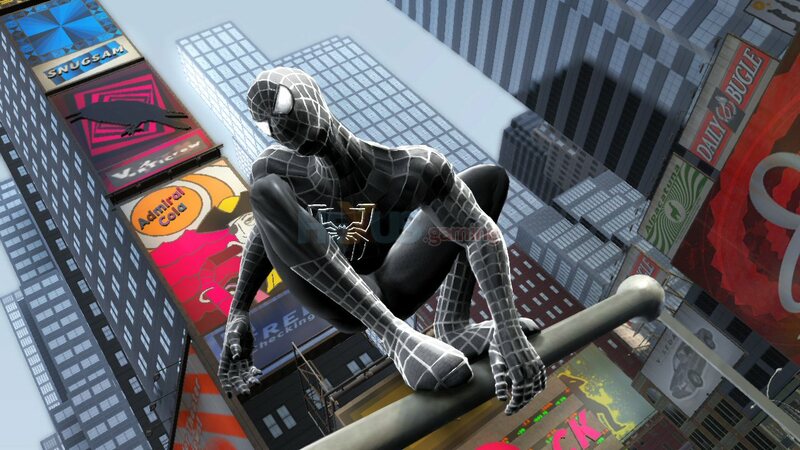 Based on Sony Pictures Entertainment’s Columbia Pictures’ upcoming feature film, Spider-Man 3 allows players to experience the actions of heroic red-suited Spider-Man and, for the first time ever, his darker, more mysterious black-suited persona. Set in a larger, dynamic, free-roaming New York City, the game gives players the freedom to choose their own gameplay experience through multiple movie-based and original storylines, fully integrated city missions and performance rewards including improved speed, combat maneuvers and agility. 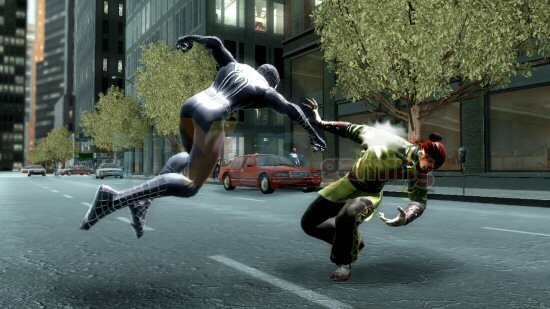 In Spider-Man 3, players draw upon Spider-Man’s completely revamped combat abilities as they protect the city and defeat nemeses using expanded aerial fighting, finishing moves and dynamic webbing during missions and epic boss battles. * Welcome to the dark side – For the first time ever, control the legendary black suit, which magnifies Spider-Man’s strength, agility and durability. Punish your enemies with explosive new attacks and incredible upgrades, including fearsome room-clearers. All this power comes with a price, though, as players will find the black suit harder and harder to control. Will you be strong enough to make a heroic choice before your quest for vengeance turns the city against you? * Let freedom ring – Go anywhere at any time in a larger, dynamic, free-roaming New York City and get involved in whatever you want, whenever you want. Players decide how to proceed through the game and set their own goals. Should Spider-Man follow a plot twist, switch to an alternate storyline, fight off crime waves that threaten the city or explore vast interior and underground locations? You decide. * The city is your playground – From towering skyscrapers to the vast new subterranean sewers and subways Spider-Man must patrol all of New York. Three criminal gangs and variety of Super Villains will be competing for your attention, taking hostages, stealing cars, harassing citizens, and creating havoc. Will you be able to save everyone? * Don’t let the city go to the dogs – Three vicious gangs have laid claim to the boroughs of New York and must be taken down. As Spider-Man brings these criminals to justice, the crime rate will drop in that section of town and city life will return to normal; if he doesn’t, the streets will turn to chaos. These super thugs won’t go down without a fight though. Their advanced AI will surround Spider-Man, grapple him, call in reinforcements, and do everything they can to retake their territory.